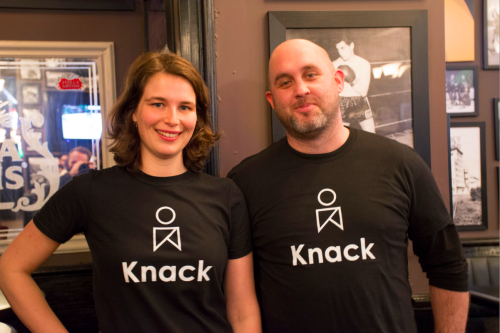 On February 16th, Knack, a new initiative of Potluck Café Society, incubated and closely supported by LEDlab, made their first public appearance. Knack (as in, one has a knack for something) is an initiative of Potluck Café Society. Knack is the only employment program in Vancouver using digital badges to showcase employment related skill sets. For employers, Knack is a hiring strategy to achieve community impact through inclusive employment. For people facing barriers to employment, Knack is a clear path to meaningful work through skills-based training.